The Pere Marquette River is arguably one of the best known rivers in the state and the country. I have met people from all over the world on this river and I have had conversations about this river in many different parts of the country I have been able to travel to. It is a lot like the Big Manistee just a tiny version of it. The runs are about the same with fall salmon, fall,winter and spring steelhead and then pike and small mouth in the summer. It has some very holy fly fishing waters in the Baldwin area in Lake county. However there is still plenty of water to fish below them. The PM does offer bank fishing opportunities. The Mo and the Big Man do to but not as many as the PM. 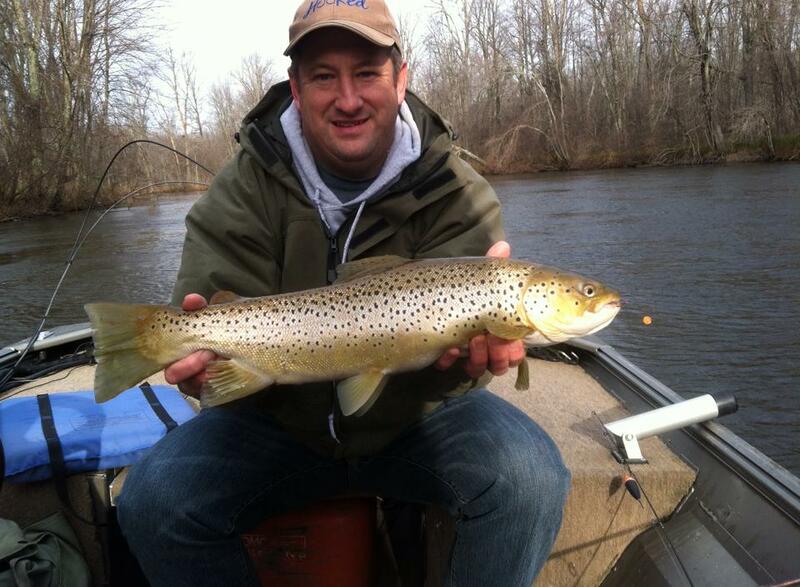 The PM is also known for the hex hatch and brown trout fishing in late June and early July. It is a very beautiful river that will leave lasting memories regardless if fished or just floated down. A father and a Son battle the cold and Steel and a Rod?